Nordkalk strives to be a good neighbour engaging in various actions for the benefit of the local community. Open and transparent communication with our closest neighbours and local communities are a must to ensure we receive social acceptance for our operations. For Nordkalk, it’s important to minimise impacts from the operation and obtain a good relationship with our closest neighbours. A good dialogue is the basis for mutual understanding of each other’s needs. A well-functioning collaboration is good for all parties and usually benefits the local communities. Feedback from our local stakeholders is expressed in neighbour meetings, open houses, consultations, complaint handling, and the feedback form on our webpage. To increase awareness of the value of limestone in society, we also invite groups to visit our plants and take a tour of our quarries. We engage in different local events and projects to create useful added value for the local society. We sponsor cultural events, museums, schools, sports and others, but also contribute by delivering district heat and clean drinking water and infrastructure. We are present on social media to keep information updated and transparent with multiple Facebook pages, Instagram, LinkedIn, Youtube and Twitter besides our webpages in local languages. Another area of societal engagement is our cooperation in research and development programmes, on a local, national or global level, using limestone for different environmental purposes to achieve cleaner air, water and soil. During 2018, each region, North East Europe, Scandinavia and Central Europe, made Social Acceptance plans to clarify and emphasise the importance of social acceptance in the local communities where we operate. The plans list our main stakeholders for the sites in each region and how feedback communication and complaints are handled. An overview of planned activities and local cooperations and sponsorships are also included. A research centre, the Centre for Sustainable Production of Cement and Quicklime, was established at Umeå University, Sweden in 2018. The industrial partners behind it are the leading Nordic manufacturers; Nordkalk, SMA Mineral and Cementa, and the centre was formed together with the Association of Mineral Technology Research and the Department of Applied Physics and Electronics. The centre has a five year work plan with a focus on developing new knowledge and promoting development related to production capacity, operational availability, energy efficiency, raw material, product quality, emissions, the circular economy and sustainability in the production of quicklime and cement clinker. Lack of drinking water has been a problem on Gotland for many years. 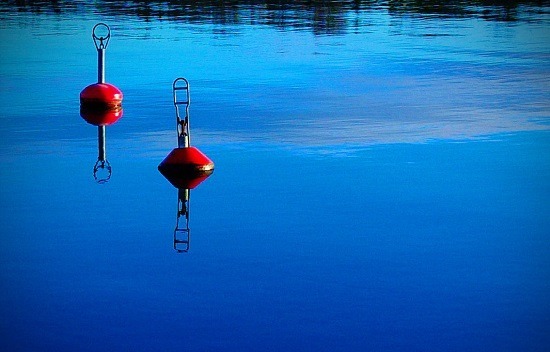 To cope with the future drinking water supply, the local municipality has built a plant for the desalination of sea water from the Baltic Sea. It is a sustainable solution that also reduces groundwater consumption. In sea water desalination, an advanced purification technique is used which makes the water very clean, soft and aggressive. Lime is then needed to give hardness and alkalinity to the water. By passing the water through a filter of fine limestone, Nordkalk’s product Filtra A, we get stable water that reduces the risk of corrosion on the pipeline network and maintains the same water quality all the way to the consumer. The lime dissolves in the water but provides a mineralised and tasty drinking water with calcium supplements for positive effects on health. Tap water is best for the body and the best drinking water contains lime. The method is well proven and documented and is reminiscent of what happens in nature. It’s an easy process with less risk of overdose, and one that is good for the working environment, cost-effective and with a very low environmental impact. Competing solutions in the form of lye or soda are considerably more harmful for the environment and difficult to dispense. 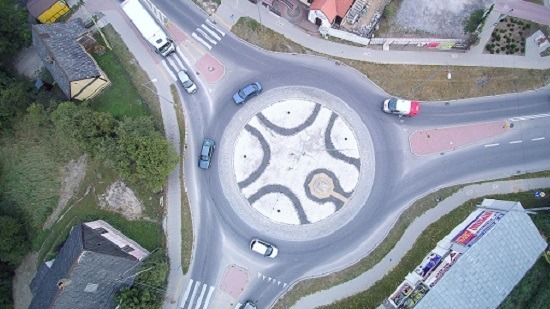 In Poland, limestone from Miedzianka quarry created an eye-catching roundabout. Nordkalk provided different fractions of aggregates for the renovation of the main roundabout in Piekoszów - a village located a few kilometers from Miedzianka. An interesting composition of stones of various colours and sizes and new plants now attracts the eye. It provides a beautiful setting for the historical statue of Saint James the Apostle who is the patron of Piekoszów. Everyday most of Nordkalk’s employees working in Miedzianka pass the roundabout on their way to work. 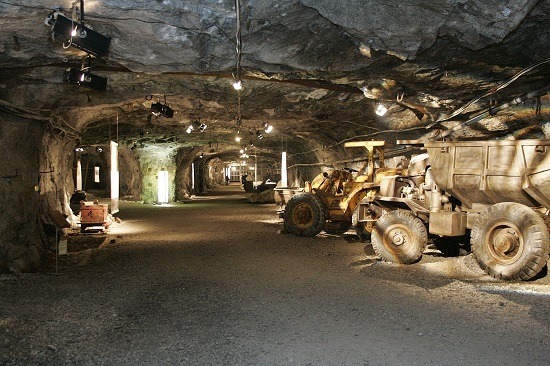 Ten years ago Nordkalk supported the idea of opening the Mining Museum in Miedzianka and since than has donated many exhibits related to the operations of the mining plant, as well as interesting geological findings from the Miedzianka quarry. 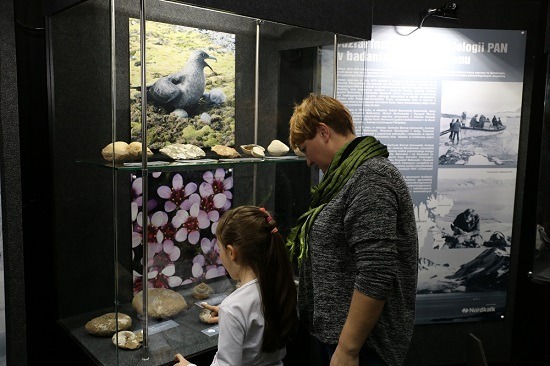 In 2018 the Mining Museum celebrated its 10th anniversary with a new temporary exhibition "Polish paleontologists in the Arctic and Antarctic". The exhibition was organised on the initiative of Nordkalk thanks to cooperation with the Paleobiology Institute of the Polish Academy of Sciences and the Association of Friends of Geosciences PHACOPS. This is the first exhibition of its kind in Poland, unique due to the rarity of the presented specimens of polar fauna and flora. The exhibition will be open to the public for the whole year and will run regular workshops for local schools. It is the start of a series of exhibitions under the patronage of Nordkalk. Deep down in Tytyri mine French champagne is lovingly being fermented. This exceptional project started when The Charles Heidsieck Champagne House decided to experiment at Nordkalk’s mine in Tytyri, Finland, to see how it lends itself to the fermentation of champagne. 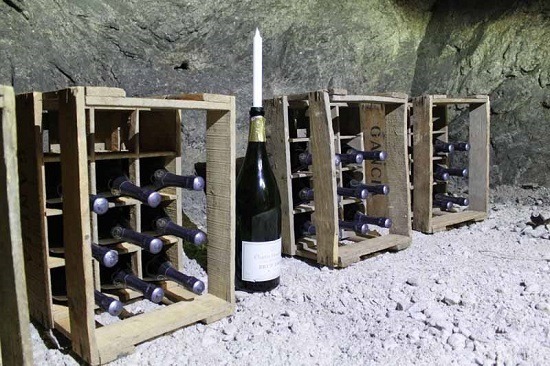 The future champagne storage cellar in the Tytyri mine is located at an impressive depth of 175 meters, but the conditions are very similar to France: the temperature remains between five and eight degrees Celsius all year round. Only time will tell how the northernmost and deepest fermentation cellar in the world treats champagne during the final steps of the fermentation process. In Poland, Nordkalk engaged in an educational project for its little neighbours, the ”Young Detectives”. During the series of workshops the schoolchildren could solve many detective puzzles while learning about interesting places and local history. They took a bus tour at Miedzianka quarry and plant to learn more about limestone, and how it is extracted and processed.After the series of workshops, they played the ”Young Detectives” board game, which summarised the knowledge gained through the project. Nordkalk awarded the little winners with safety equipment such as reflective bands and vests to make sure they could walk home safely! Fossilised shrimps, fishes, mussels, horseshoe crabs and much more from over 145 million years ago can be found at Nordkalk’s quarry in Sławno, Poland. The spot is called ”the Polish Solnhofen”, a name that comes from one of the most famous paleontological sites in the world located in the southern part of Germany. No wonder it attracts scientists and students from all over the world. In June members of the Club of Geology Fans operating at the Geopark in Kielce travelled to Sławno quarry to hunt for some paleontological treasures from the Late Jurassic period. For most of the participants it was their first visit to the operating limestone quarry and activities in the field were proceded by safety training. At the end of the day, there was a large collection of beautiful fossils ready to become a part of the exhibition at the Sławno plant. Lappeenranta quarry will be expanded in the direction of the nearest residential area. The expansion area is in the north-western corner of the quarry, with several old buildings no longer in use. In 2016, a project was started to demolish dozens of buildings, to give room for the expanding quarry. Some of the buildings were known to have been built with materials containing asbestos. This made some of the people in the neighbourhood worried for their health, fearing that the demolition work could release asbestos dust and fibres into the air, even though the work was done by a licensed asbestos removal contractor. To lessen people’s fears, dust samples were collected in the residential area during a period of ten months. Also, to minimise the dusting, wind and weather conditions were taken into consideration when performing the demolition work. When the dust samples were analysed, the results showed no asbestos in the residential area. According to one of the neighbours, the asbestos measurements and other actions taken to avoid dusting, were a highly appreciated gesture, strengthening their trust in Nordkalk as their big industrial neighbour. To being a good neighbour and corporate citizen, engaging in efforts that benefit the local communities and society at large. To acting in an open, transparent and responsible way. To providing jobs and services to local communities, such as district heat and clean water, and supporting local activities. To engaging in environmental projects contributing to clean air and water, and productivity of agricultural land, on a local, national and global level. To constantly developing our communication with various stakeholders to enable dialogue.